The Los Osos/Baywood Park Chamber of Commerce invites you to A World of Opportunity at BUSINESS EXPO 2016 being held Friday, April 22nd from 5:30 to 7:30 pm. 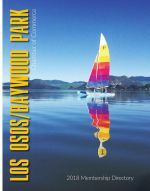 The theme of this year’s expo reflects the many opportunities to start, grow and do business in our world – Los Osos/Baywood Park. Space is limited. For maximum advertising exposure, deadline to apply is April 8th.